Water... Earth... Fire... Air. Long ago, the 4 nations lived together in harmony. Then everything changed when the Fire Nation attacked. Only the Avatar, master of all 4 elements, could stop them, but when the world needed him most, he vanished. A hundred years passed and two siblings from the Southern Water Tribe discovered the new Avatar, an airbender named Aang. And although his airbending skills are great, he still has a lot to learn before he's ready to save anyone. But we believe Aang can save the world. Avatar: The Last Airbender (also known as Avatar: The Legend of Aang in several countries) is an Emmy Award-nominated American animated television series that currently airs on the Nickelodeon television network. 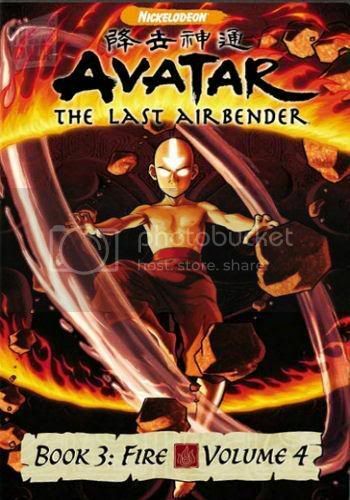 Set in an Asian-influenced world of martial arts and elemental magic, the series follows the adventures of the latest of a long line of Avatars, Aang, and his friends in their quest to save the world from the ruthless Fire Nation. The series is written in the form of a book series, with each episode serving as a "chapter" and each individual season as a "book." There r some rumors that there is coming a new story in the same avatar world! 0_0 we have avatar now too??!!! w00T! Thnx m8! There are 2 more episodes how are not officalie aired. i dont know how long it will stay up. I will do something about the long links. Thank you! Never bothered to look this show up before, but now I'm kinda stuck can't wait for the new episodes. sorry about the low grafich but i had some truble with converting to divx. well its beter than nothing. thanks for chapter 7,8 and 9. Here are the links of chapters 1 => 9 on stage6. nice, but why dont you guys use veoh? I' ve found Chapter 10 and 11 on stage6. btw, what do you mean with chapter 12 'working on it', do you have it or just don't have a airing date yet? dont have the airing date.